The number of young people learning to drive has been falling, but nearly half of those who pass their tests believe it is so important that it should be taught at school. 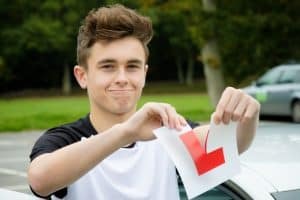 A survey by the Young Driver driving school quizzed 1,000 motorists under the age of 25 on the question of how important driving is to them, and found 44 per cent believe it should be on the curriculum; even though some people will leave school before they are old enough to qualify. The poll also found 39 per cent believe not being able to drive would close doors for them. By contrast, the number of young people learning to drive has dropped by 20 per cent in the last decade. This may suggest there is a contrast between those who may be motivated by factors such as environmental issues and easy access to public transport – particularly with the growth of city centre living – and those who may drive as part of their jobs, such as fleet drivers. Others may see driving as a necessity because they live in areas poorly served by public transport. Young Driver found that 19 per cent could not do their current job if they were unable to drive; the equivalent of 6.25 million people. Indeed, she added, lessons with children as young as ten have shown that they can gain considerable confidence from learning how to handle the controls of a car.